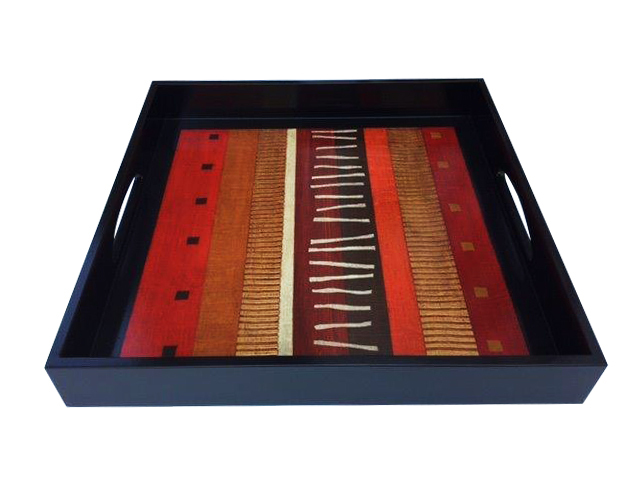 Hand painted tray made from recycled wood. Acrylic seal. Clean with damp cloth.